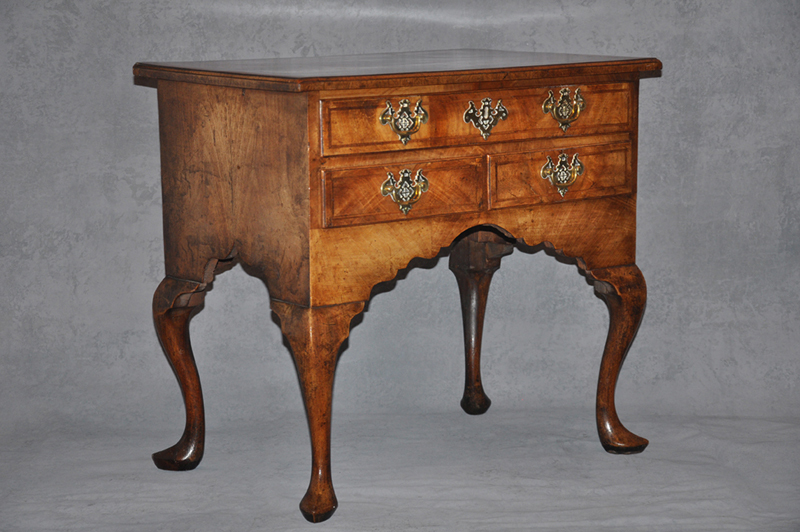 A fine 18th Century walnut and feather banded Lowboy of superb colour in wonderful original condition, retaining the original handles and locks. 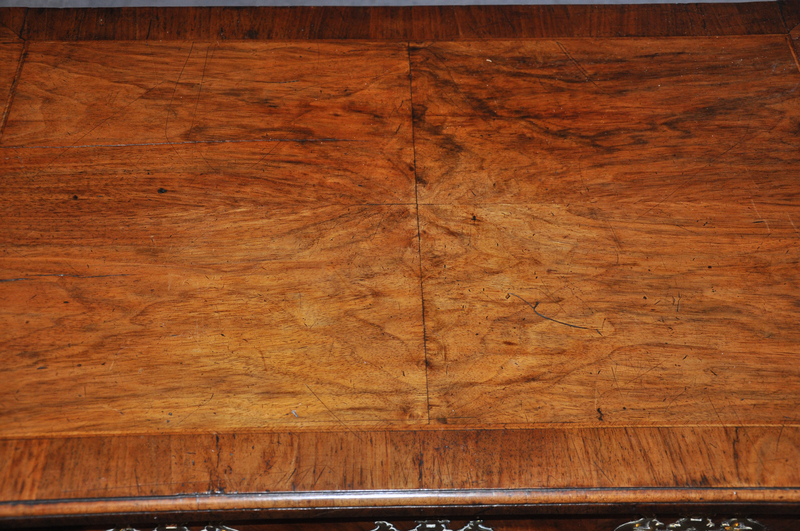 The underneath surface is untouched and has developed a lovely dry surface that has a warm colour. 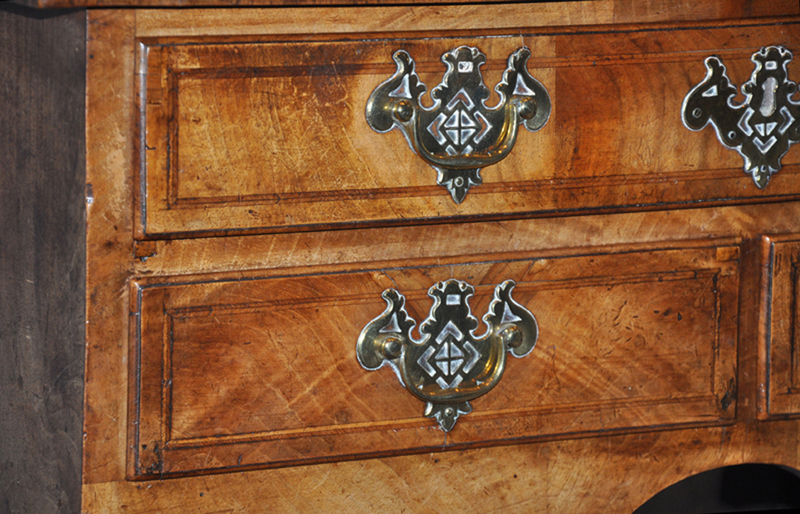 The drawer linings again dry and untouched are in oak with pine drawer fronts veneered in matched walnut, it is worth noting the strip of oak that is added to the top of the drawer fronts, this is a feature often seen on the better quality pieces. 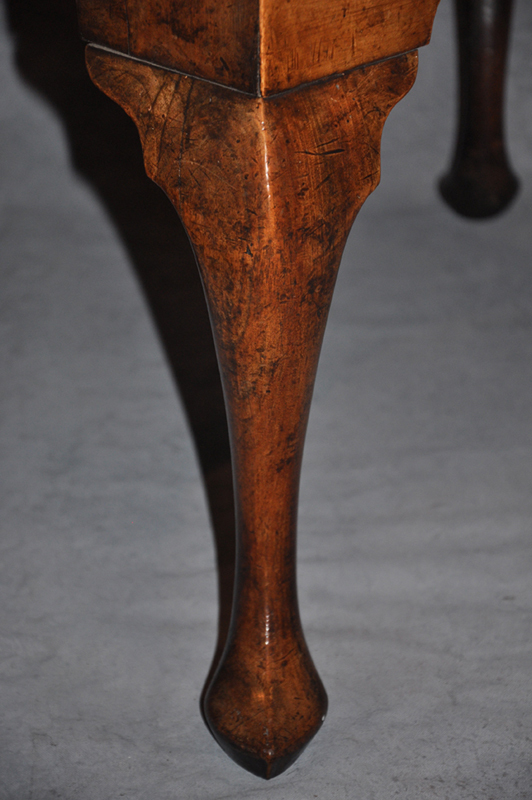 The legs are superbly shaped, they are a fine example of the early style of cabriole leg with a well carved slipper foot. 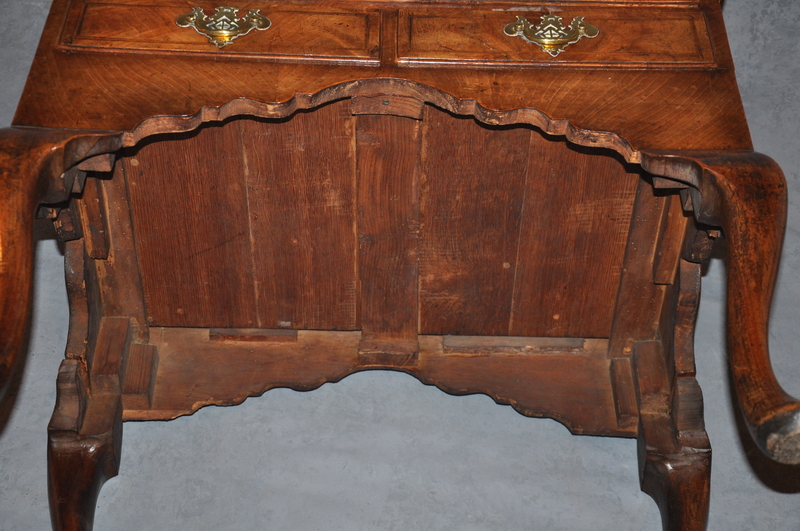 It is a rare sight to see a walnut lowboy in such condition.